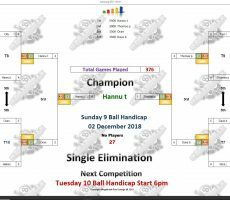 SUNDAY 9 BALL – 2nd DECEMBER : HANNU WINS. 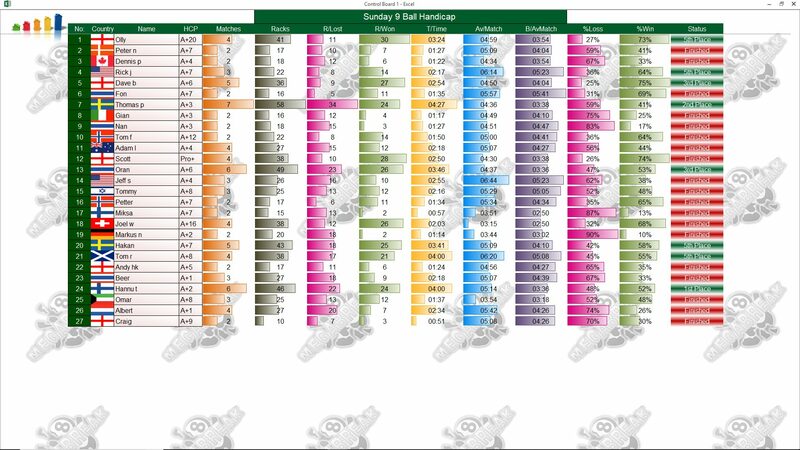 Finland’s Hannu Torpström was the winner of our Sunday 9 Ball Competition earlier this week. 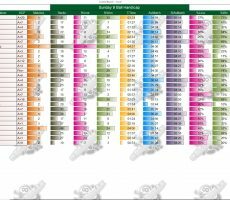 Having lost in the final of last Sunday’s tournament, he put things right this week to go all the way to the 1st Prize of 5500 baht. He was on the top of his game all night long to win six consecutive matches without defeat and lift the trophy. 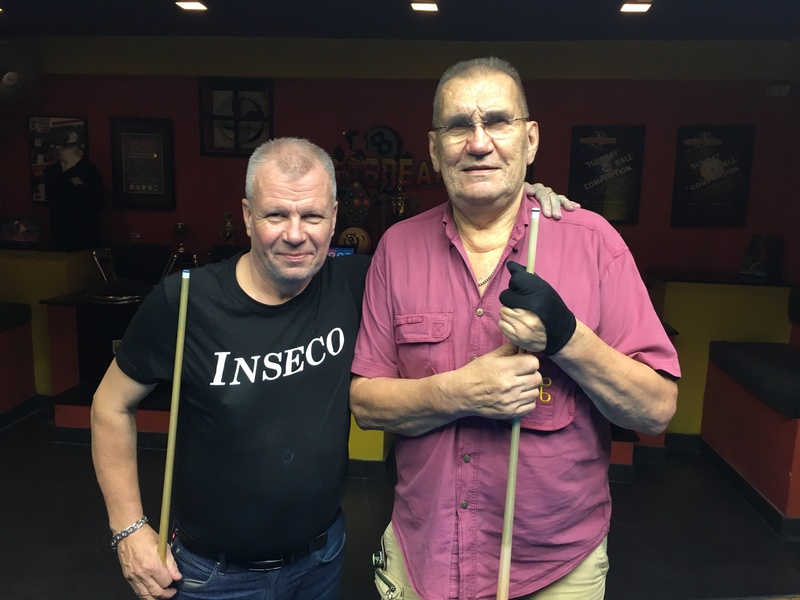 In the final he comfortably beat Sweden’s Thomas Pettersson by 4 racks to 1 (race 4-5) and his handicap is now increased to A+3 as a result. 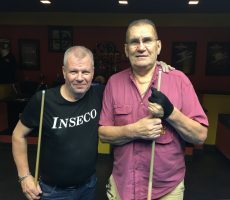 Thomas lost his first match of the evening in the groups, before raising his game to win five successive matches and reach the final, and pocketed 3000 baht in 2nd Place. His handicap also moves up by one rack to A+4. 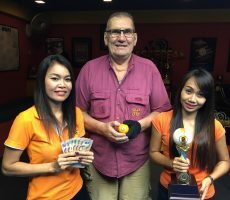 The other money winners on the evening were Dave Brooks from England and local Thai Oran Olbird Ornkt, who each took home 1500 baht for reaching the semi-finals. 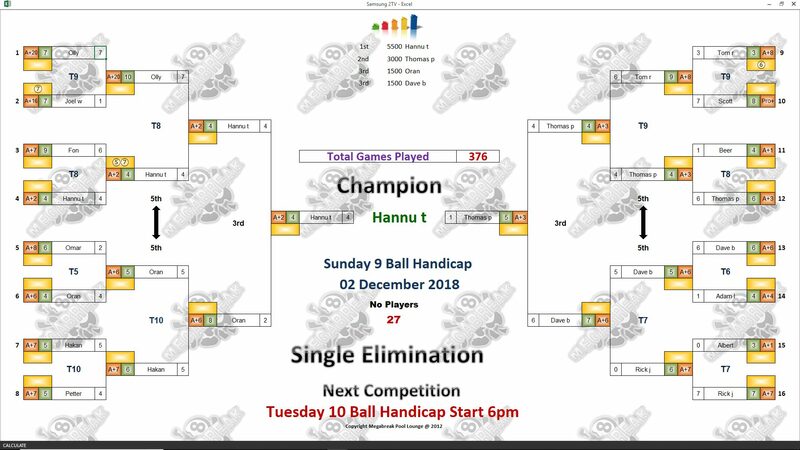 Champion : Hannu (A+2) – 5500 baht. 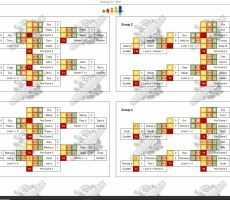 Runner-Up : Thomas (A+3) – 3000 baht. 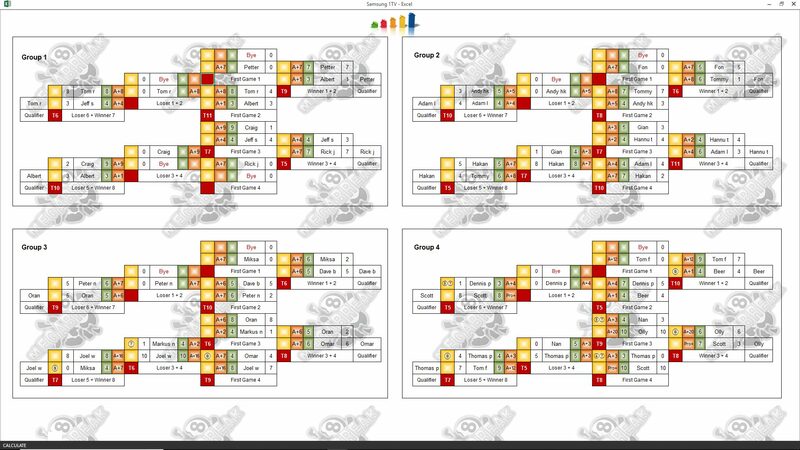 Semi-finals : Dave (A+6) and Oran (A+6) – 1500 baht each. 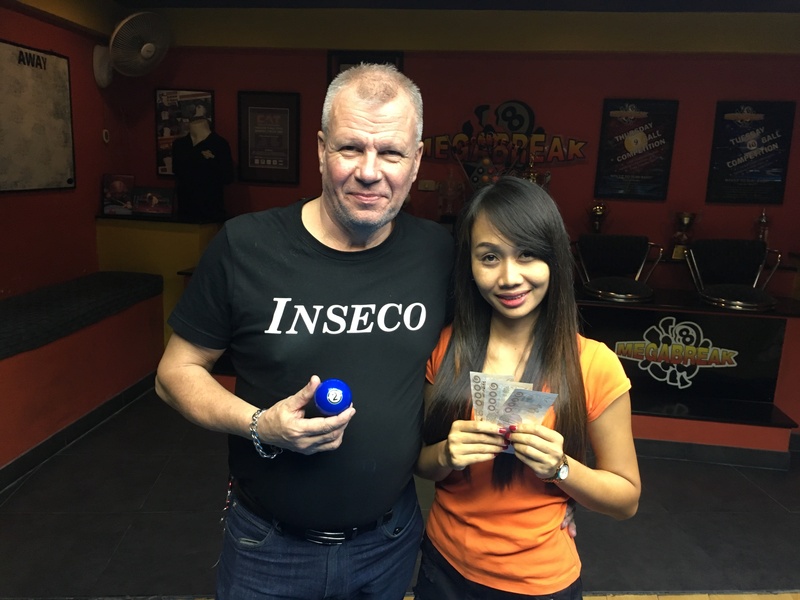 The Player Auction Prize Fund totalled 26200 baht, and was won by our champion Hannu. 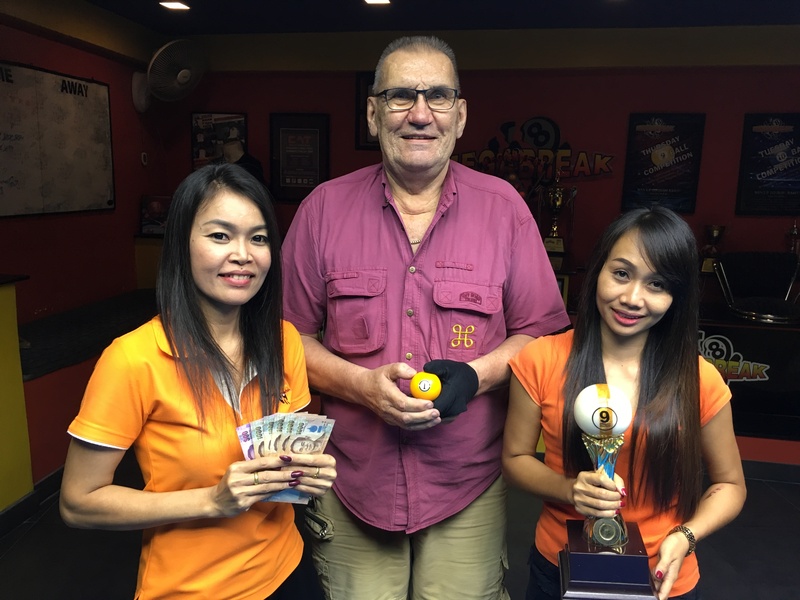 He bought himself for 1400 baht, and added an extra 7300 to his winnings on the evening. 1st : Hannu (Himself) – 7300 baht. 2nd : Tommy Fineman (Thomas) – 5600 baht. Equal 3rd : Tommy (Dave) and Dave (Oran) – 2800 baht each. Equal 5th : Hannu (Olly and Hakan), Gan (Tom Rooney) and Me (Rick Jones) – 1600 baht each.